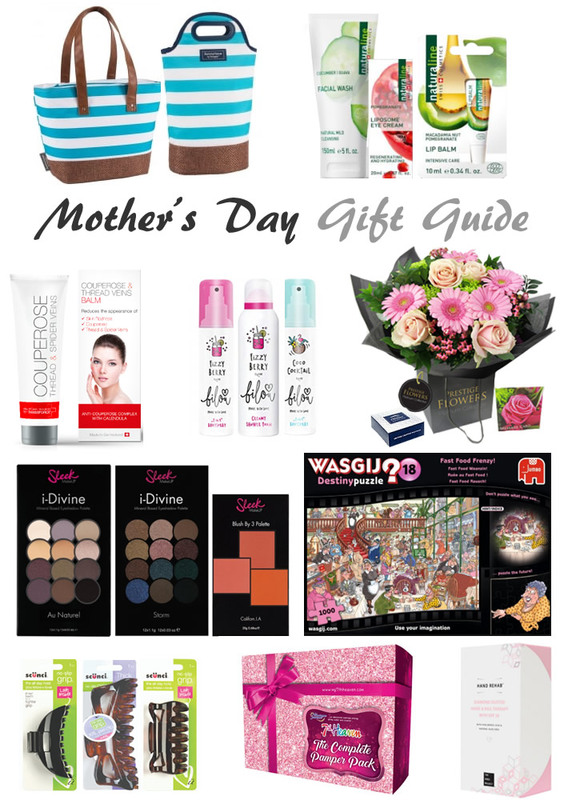 Mother's Day is just around the corner and if you haven't decided what to get your mom, here are some nice gift ideas. From skincare products to flowers to accessories, the list is sure to help you make your shopping decisions. For the mom who loves the outdoors, here are a couple of products from Katie Jane Home that would make practical and useful gifts. The Coast Cool Bag Shoulder Bag is a 15 litre insulated shoulder tote that is ideal for keeping your food and drinks fresh and cool at outdoor concerts, the beach or on a picnic. 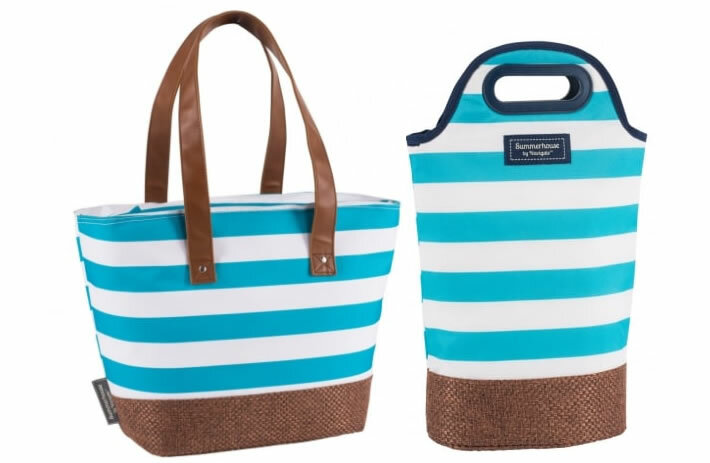 Made from durable materials, the stylish bag is complemented by an Insulated Twin Bottle Cooler, also from Coast. The insulated twin bottle cooler has space to carry 2 bottles separated by a built in padded flap. Both of these products would make a great present for someone who loves the outdoors. Next up I have a brand from Switzerland - Naturaline Swiss Cosmetics. Their product range which includes nine highly effective natural skin care products for the face and body, combine the latest scientific techniques and carefully selected natural ingredients. All their products are vegan, not tested on animals and bear the ECOCERT® Natural Cosmetics Quality Label. The range includes an Alpine Rose Day Cream (£13.49, 50ml), Edelweiss Day Cream (£13.49, 50ml), Cucumber | Guava Facial Wash (£8.99, 150ml), Aloe Vera | Eyebright Eye Make-Up Remover (£8.99, 100ml), Pomegranate Liposome Eye Cream (£8.99, 20ml), Macadamia Nut & Pomegranate Lip Balm (£5.99,10ml), Basil | Lemongrass Shower Gel (£6.99, 200ml), Peppermint | Bamboo Body Lotion (£8.99, 180ml) and a Mallow Flower Lady’s Mantle Intimate Wash Lotion (£8.99, 200ml). I have used the Cucumber Guava Facial Wash and it is gentle enough for daily use and cleanses well. The Macadamia Nut & Pomegranate Lip Balm is excellent. It contains Almond and Macadamia nut oils and soothes & hydrates the lips well. The Pomegranate Liposome Eye Cream has been developed specifically for the sensitive skin around the delicate eye area. With a potent anti-oxidant pomegranate formula it helps in reviving and hydrating the eye area giving it a rested and hydrated look. All the three products have been lovely to use. The eye cream has become a favourite of mine. Another Swiss brand! And this time featuring an innovative skincare products - Couperose Thread & Spider Veins Balm. The balm developed by Swissforce Pharma AG is an unique blend of ingredients such as concentrates of red vine leaves, roses, gingko and calendula, along with purple-red algae, Swiss cress, soy protein extracts, and Crystal Mint. It is enriched with Shea butter, Panthenol (Provitamin B-5) Rice bran oil and Vitamin E acetate and is said to help reduce skin redness and the appearance of Couperose, Spider Veins and Thread Veins, with results in just one week with a twice a day application! The Couperose & Thread Veins Balm (30ml), £24.95 is available to purchase from www.anti-couperose.com. Bilou is a body care range from Germany that is available to purchase from Superdrug. Their range includes body sprays and shower foams in a number of fragrances like Fizzy Berry, Cotton Candy, Pink Melon and Tasty Donut. You can check out my review of some of the products and enter the giveaway to win the same here. You can use the occasion of Mother's Day to show your mum how much you appreciate and love her. And a lovely way to do that is by sending her some wonderful flowers. Prestige Flowers have a wide range of luxury bouquets like the one featured in this post. Combining sublime sorbet roses with flares of the freshest germini flowers, green foliage and delightful shamrock blooms, the Lomond bouquet is beautifully arranged. Along with the flowers is included a box of handmade British truffles and a cute & cuddly teddy bear! Check out more photos of the bouquet here. Continuing with beauty gifts, I have picked some cool makeup products from Sleek Makeup. First up is a blusher - Blush by 3 - Californ.I.A - which includes three complementary shades, each designed with its own distinctive finish, from rich shimmers to intense matte shades. A very lovely palette where each shade can be used on its own or layered for a unique look. Next are the I-Divine eyeshadow palettes. There are two featured in this post. Au Naturel : a mix of matte and shimmery eye shadows providing a subtle yet contoured effect for day, that can be built up for a gorgeous evening smoky effect using the velvety browns and shimmering fawns. Storm : which includes shimmery neutral pinks and beiges perfect for day looks and gorgeous shades of dark blue, green and copper for elegant evening looks. An interesting gift in the round up is this awesome adult jigsaw puzzle from Jumbo Games. Jumbo are a puzzle manufacturer with a huge adult puzzle portfolio. The Wasgij Destiny Puzzle 18: Fast Food Frenzy! is a 1,000 piece jigsaw puzzle priced at £12.99 and is as unique as it is entertaining. Wasgij (as you must have guessed from the name) are unlike traditional puzzles in the sense that you need to piece together the puzzle using your imagination, based on the scene printed on the box. The puzzle will really make you think! It is loads of fun, is challenging and you can get the whole family involved. If your mum loves jigsaws then Wasgij puzzles are perfect gift ideas! Scünci's has an impressive range of affordable hair accessories including the Scünci No Slip Grip jaw clips which are perfect for holding and styling hair - a no slip, grip that works for all hair types. The clips are available in a range of colours and sizes and can be purchased from Boots. One more wonderful product in the gift guide is the Hand & Nail Therapy cream from The Hero Project. According to the makers, the diamond dust enriched hand and nail therapy cream is a rich and nourishing cream that hydrates and strengthens hands and nails. And having used it (and within a short span of time), I can tell you that this is a lovely hand cream. It is easily absorbed, is non-greasy, smells wonderful and leaves the hands soft and smooth. Add to it the fact that it has a SPF 20 broad spectrum sunscreen in it too making it a very good buy.